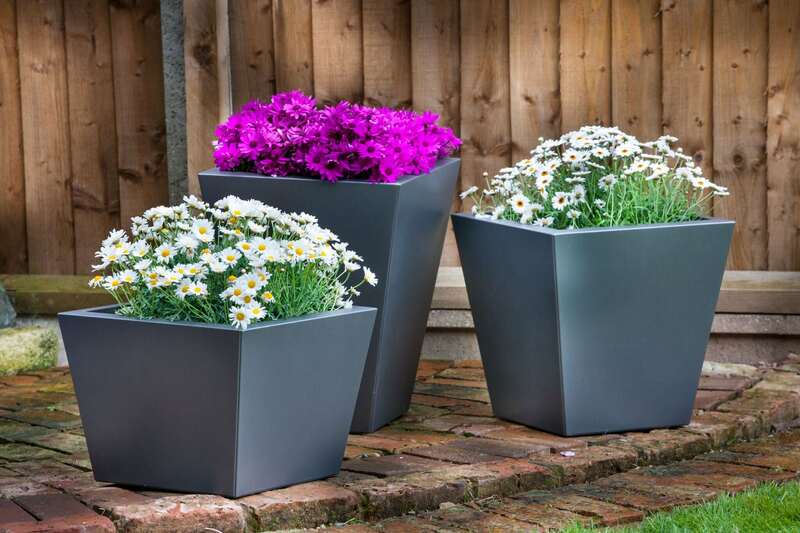 The high quality powder coatings we use on our premium planters are guaranteed against rusting for 3 years, as well as being scratch, chip and fading resistant. 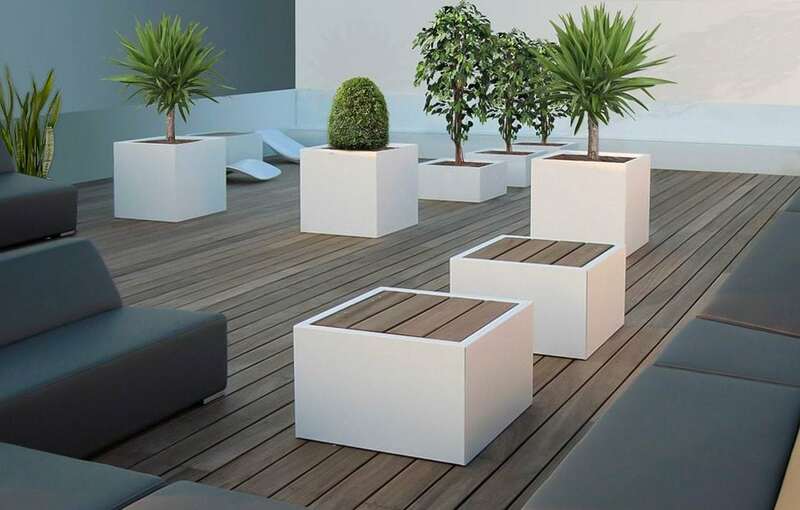 This makes them perfect for any environment, whether that’s a hotel with a lot of foot fall or a garden in full sun, all of our steel planters are robust and long lasting that can stand up to any test. 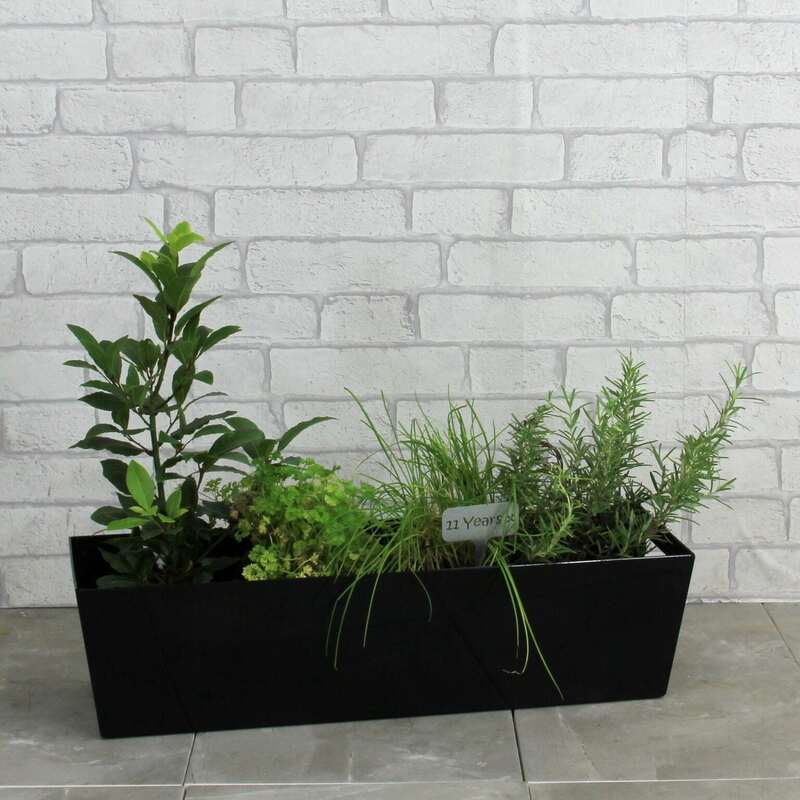 Our powder coated planters are readily available in five slick colours and a variety of shapes and sizes. Choose from Pewter Grey, Matt Black, Anthracite Grey Satin, Teal Green Satin, and Grey/White Matt. 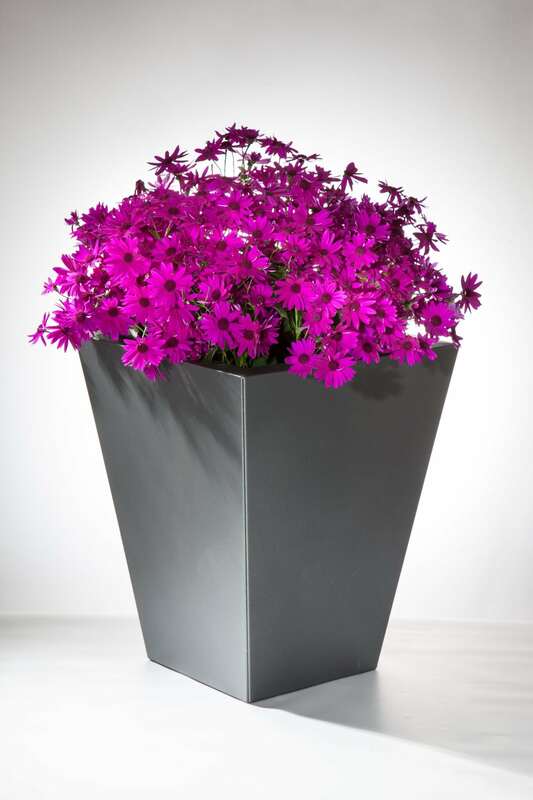 If those colours aren’t what you’re looking for get in touch with us to talk about a custom design, we love working on completely bespoke designs with our customers! 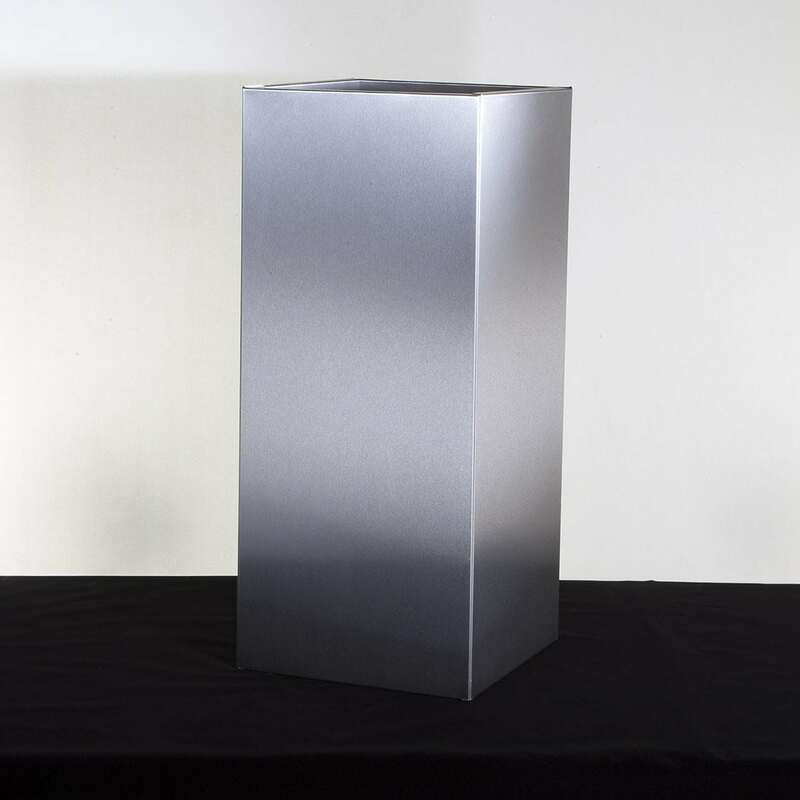 Take a look at what shapes we currently offer in our powder coated finish, including cube, wide taper, slim taper and tall square as well as window boxes and troughs.